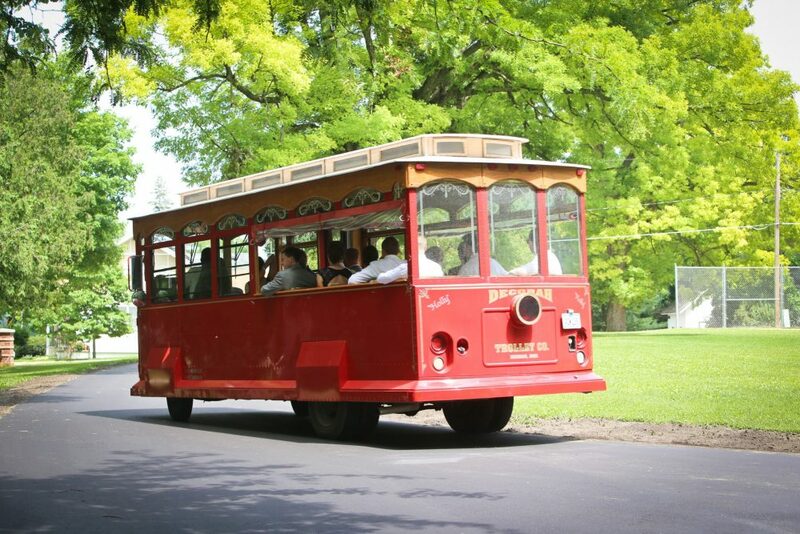 Get around in style on the unique Decorah Trolley. The trolley will offer six pick up locations throughout downtown Decorah and will run a continuous loop. Friday noon–5:00 p.m. and Saturday 12:30-5:00 p.m. Specific locations are noted on the Fest map. Hotel and campground transportation is provided by EARL. Pickup and drop off locations are: Vesterheim, Pulpit Rock Campground, Country Inn, Super 8, Fairfield Inn, and Quality Inn. The shuttle will run continuously on Friday from 12:10 p.m. until last pick up at Vesterheim at 8:00 p.m. and Saturday from 8:10-10:00 a.m. and after the parade until last Vesterheim pick up at 10:10 p.m. Loops approximately every 25–30 minutes. Rides are free, but donations are encouraged. Decorah is a pedestrian- and bike-friendly community. All Nordic Fest activities are in easy walking distance from downtown Decorah. And if you love the great outdoors, be sure to bring your bike and take it for a ride on the 11-mile Trout Run Trail. To ensure everyone’s safe enjoyment of Nordic Fest, the use of bicycles, skateboards, scooters, roller skates and roller blades, snap and pop or firework devices are prohibited in designated Fest areas. Dogs and other pets must be on leashes, and Decorah’s Animal Waste Ordinance will be enforced. All motorized vehicles in Fest areas must be licensed official Nordic Fest vehicles. Thank you in advance for your cooperation.